POCOLA, OK (July 14th, 2018) – Racing action resumed at the mighty Tri-State Speedway on Saturday night after a week off with the annual BACA (Biker’s Against Child Abuse) Kid’s Night and Bicycle Races. Mother Nature kept the heat cranked up with 96 degrees on the thermometer at race time. The track prep crew had the track ready to go at race time, with no packing required from the drivers. The track was fast, wide and smooth for both nights of racing action. The pre-race ceremonies started at 8:15 PM with the invocation and a memoriam parade lap to honor the late Tony Bone. The national anthem followed with many cars carrying the American flag during parade laps. The start time was held back slightly to allow some other cars to arrive from another track that rained out late in the afternoon. Heat races were determined by the driver’s draw at sign in. The classes advanced to their features heads up with an invert redraw that determined how many cars would be realigned. There were no NexGen drivers on hand Saturday night, but there is still time to get racing this season with your own NexGen car. The NexGen class is an entry-level, low-cost, no racing experience class. You can find the simple rules on our website, at www.Tri-StateSpeedway.com, under Driver Info and then Rules. Blaise Leatherman (94L – Muskogee, OK) is the current points leader. The first A Feature was for the Out Pace USRA B-Mod A Feature. 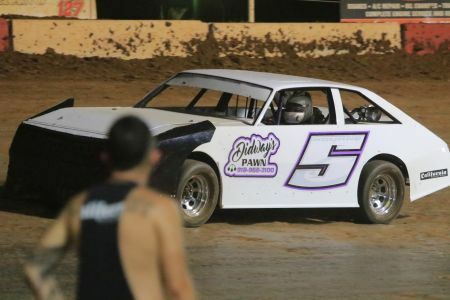 Brian Williams (4$ - Fayetteville, AR) picked up his third win of the season. Brandon Wilson (4B – Fort Smith AR) and Hunter Byers (88B – Rogers, AR) finished second and third. Daniel Tarkington (2 – Checotah, OK) remains at the top of the class point standings with a 28-point lead. The next A Feature on the track was for the Factory Stocks. Wesley Bourne (5 – Cameron, OK) took home his second win of the season. Chuck Smith (55X – Van Buren, AR) and Marshall Penson (1P – Van Buren, AR) finished in second and third. Hamby sits atop the point standings with a narrower 34-point advantage over Penson. The last A Feature of the night was for the always fast and exciting USRA Modifieds. 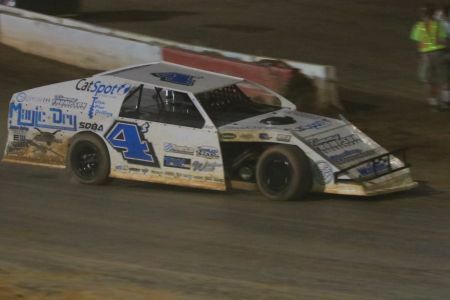 In a race that had multiple lead changes and slide jobs in the last four to five laps, Steve Holzkamper (16 – Gentry, AR) captured his third trophy of the season. Last season’s track champion, Trevor Latham (27L – Rogers, AR), finished a very close second while Jeremy Vaughn (8 – Pocola, OK) finished third. 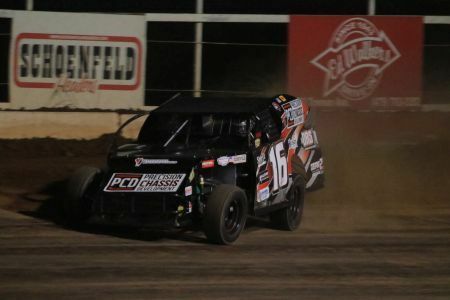 George Martin (15 – Fort Smith, AR) sits atop the class point standings with only a 26-point advantage over second place. The following week will see our annual Back To School races with free backpacks for the kids on July 28th, 2018.